You were able to address the cat odor problem we were having. You explained every step of the process and did not give up until the cat odor problem was resolved. Did your cat have an accident on your carpet and the smell just isn’t going away? Did you discover your dog’s favorite hiding spot for doing its business? Rainbow Carpet Cleaning can help. We repair pet damaged carpet by getting rid of cat and dog urine odor, pet dander, and pet stains. 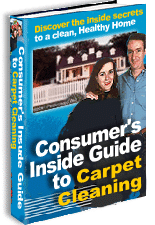 Your carpet and upholstery will look and smell almost like new again. Rainbow Carpet Cleaning has been providing pet damaged carpet and upholstery repair services in Corvallis for over 40 years. Whether your pet damage is extensive or a first time accident, we know how to fix your pet’s mistake. Thorough Inspection – Pets are sneaky. We use special equipment to find your pets’ hidden ‘doing business’ spots. Making sure to eradicate all odors. Pet Odor Removal – Keep it fresh. If your pet odor comes back, so will we. Rest assured your ‘problem’ areas will no longer be an embarrassment. Green Cleaning – Want environmentally safe cleaning solutions that are safe for your kids, pets, and chemically sensitive people. We’ve got you covered. FREE Advice – Call first! You can save time and money by calling us first. Often times pet related accidents can be cleaned with house hold remedies. 100% NO RISK GUARANTEE – Love that fresh smell or don’t pay. All pet repair and cleaning services are backed by our 100% money back guarantee! Pet urine damage and other dog and cat odors are difficult to repair, but we’ll get your home smelling fresh again. Plus, our special pet odor treatments thoroughly sanitize the treated area as well as restoring your carpet and upholstery’s natural beauty and fresh smell. Want more reviews or video testimonials about the level of service we provide? Visit our testimonials page here. We have hundreds for you view! Discover why over 3,000 satisfied customers have turned to Rainbow Carpet Cleaning for their professional pet damage repair and cleaning services needs.